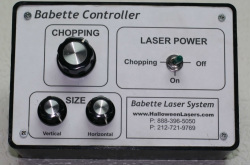 HalloweenLasers is the creator of the exciting Babette Laser Effects Systems. 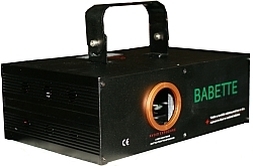 The Babette Laser Effects System is made up of the 4.95 mW Green Babette Laser Projector and the Babette Controller. With this system your haunt will be able to create misleading hallways, vortex tunnels, and cemetery scenes, plus many other scenes . With your imagination this system can turn any haunted house room into the reason why haunters come back for more. All of sudden a monster pops out from behind the laser wall, totally scaring your guest. Everything that you need to get started with producing great laser effects is included, all you need to provide is the dark room and haze/fog. We have produced an example video as well as an instructional video displaying the features of the Babette Laser Effects System. Some of the many features include laser tunnels, laser vortex's, laser ceilings, laser floors, and disorienting laser vortex's. If you have any videos or pictures of the Babette Laser Effects System in action please send it. We will feature it on our website along with a link to your haunted house. HalloweenLasers.com is the # 1 producer of laser lighting effects in the Halloween industry. 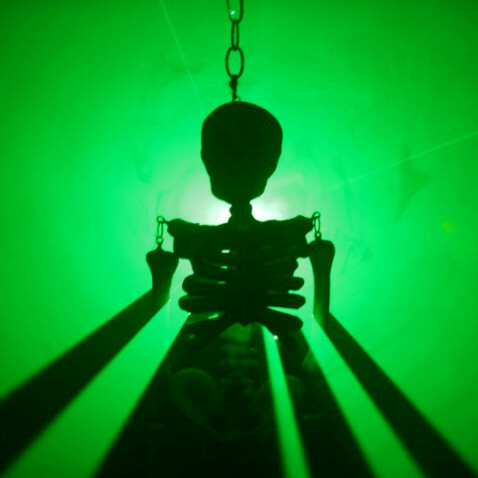 Haunted House's across the nation have enhanced their haunts with the power of laser effects.